Call me mildly obsessed: I can’t get enough of Lisbeth Salander. I devoured The Girl with the Dragon Tattoo back when it was an advanced reader’s edition, I saw David Fincher’s film the day it came out (and could not stop imitating Rooney Mara’s strange English/Swedish accent), and I’ve just finished reading the first volume of Vertigo’s graphic novel adaptation. 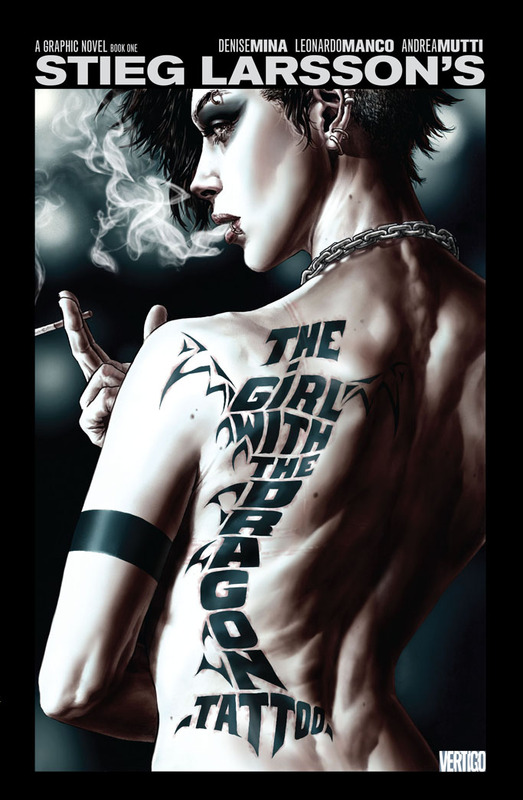 Why a graphic novel of The Girl with the Dragon Tattoo? What attracted you to this project? Denise Mina: DC Comics approached me, and I was very keen. I think they were surprised by how keen I was, but I thought the story would lend itself wonderfully to a comic. Salander is very visual and the whole story—the usurping of gender roles, the motorbike, the gothic island—it could hardly be more graphic. Also I love Larsson. He was a really radical political writer who used mass market media to get his political points across, and I felt a lot of those points were lost in the film versions. For example, Salander’s mother is brain damaged because of domestic violence. Her mother isn’t even in the American version, which is a shame. For me her mother is the centre of the whole story. 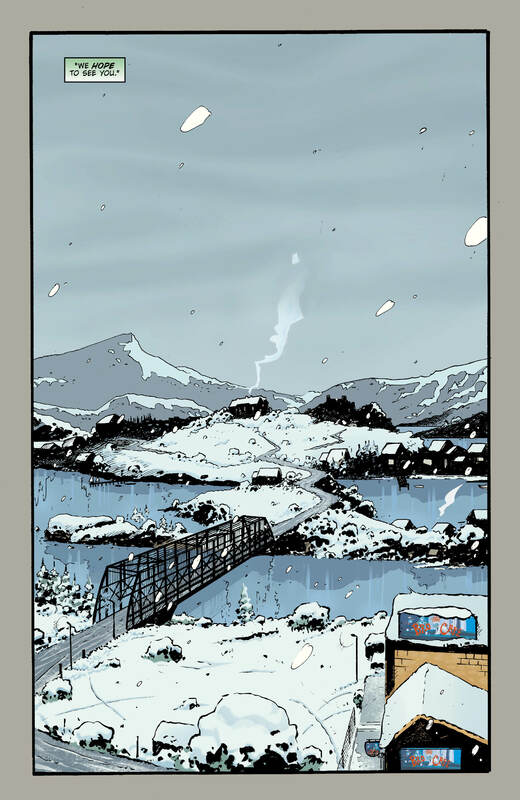 What was the hardest part about adapting Stieg Larsson’s writing for a graphic novel? 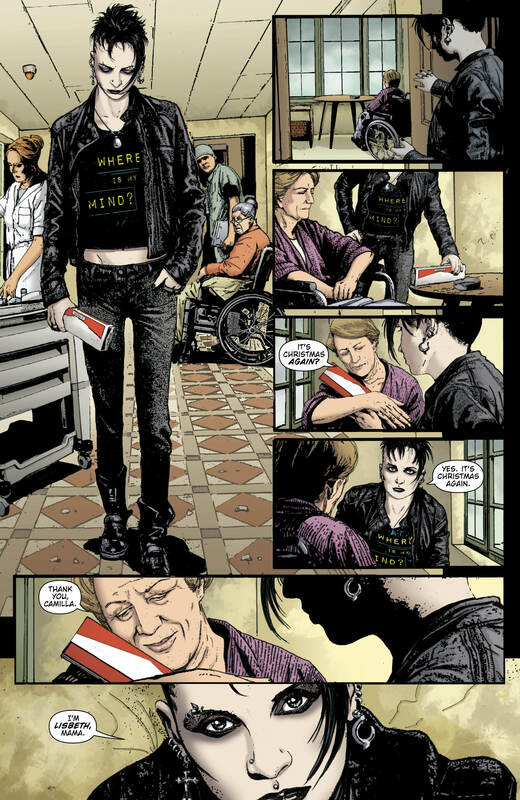 Were there any plot elements in The Girl with the Dragon Tattoo that were easier to tell in a graphic novel format? DM: Quite a lot. Compared to prose, comics are great at action. I’d argue that comics are better for action than film too. 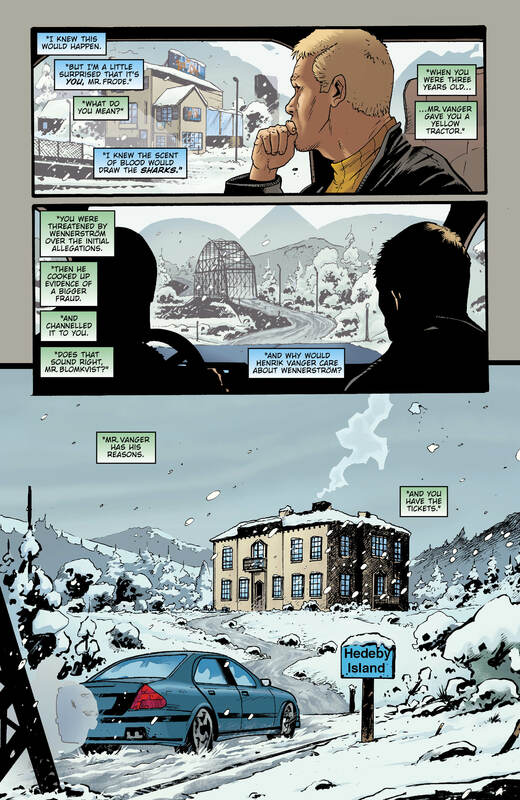 The fraud plot lines were easier in comics than in prose and just impossible in film. Difficult to have an interior monologue though, unless there is a narrator, and that’s not possible with a two-handed story like this one, where Blomkvist and Salander share the action half each. Much of the dialogue in this adaptation is original. What was it like to write dialogue for someone else’s characters? How did you get inside their heads? DM: For me the rule for dialogue in comics is less is best. The story should come out of the graphics and dialogue just shouldn’t be there if it isn’t necessary to add information or characterisation. Basically it boils down to information filtered through characterisation. I didn’t find it hard because I’ve written for pre-existing characters before but I’m always dismayed when I find elements of myself in there, jokes I find funny but which don’t fit in with the scope of reference for those characters. Tell me about the parts where you deviate from Stieg Larsson’s story: How much do you feel like you’re telling your story rather than Larsson’s? DM: Its incredibly faithful to the original. I was aware that a lot of people already knew the story, and I didn’t want to leave too much out. 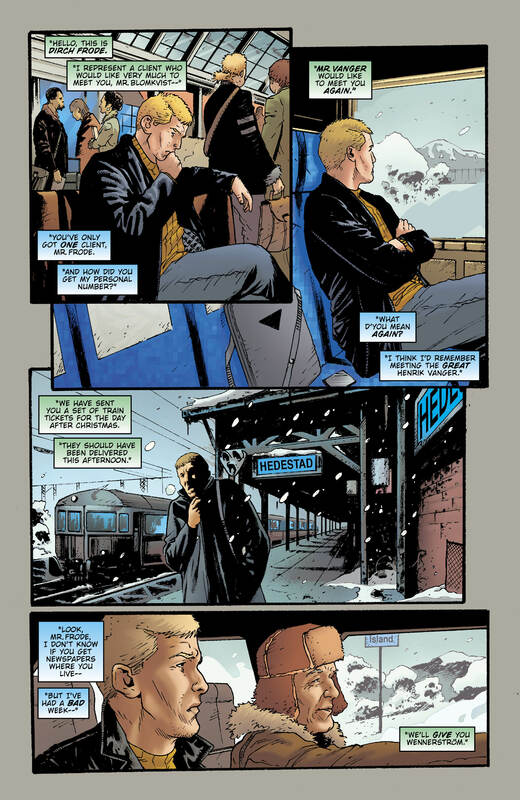 It never felt like my story, more than that, it felt like I was trying to make his story work in a comics form. That involved things like making Blomkvist’s attractiveness believable (women are keen as chips to sleep with him for no very clear reason) and seeding Salander’s talent for disguising herself earlier in the story so that it doesn’t feel like a surprise.